Our corporate and transactional healthcare lawyers provide insight and counsel into the business arrangements that help your business grow. We navigate the legal and regulatory landscape, counseling and crafting recommendations so your healthcare services remain clear of regulatory hazards. We represent you in healthcare dispute resolution for any controversy your business may face. Along with our comprehensive representation of post-acute care providers, Sussman Shank covers the other end of the healthcare industry spectrum by representing providers in the acute care setting. Recently, the firm added Jack Caynon, an attorney who started his career at the Paul Hastings firm and has been General Counsel to four health systems in South Carolina, Virginia, Massachusetts, and Oregon. Our Health Law Group provides legal counsel for hospitals, medical and dental practices, physical therapy companies, ambulatory surgery centers, specialty practices, and accountable care organizations. We assist clients with acquisitions in the normal course, as well as out of bankruptcies and receiverships. We counsel and defend providers regarding licensure and regulatory issues and have gained the hard-earned experience to work effectively with administrative agencies, always with the advancement of the best interests of our client's top of mind. Our lawyers are also skilled in providing advice on employment issues specific to healthcare businesses, including employment agreements, advice and training concerning hiring, evaluations, compensation, background checks, discipline and discharge, leave laws, and other employment issues. The healthcare industry is highly regulated. As such, there is tremendous pressure on providers to provide high quality care at a reasonable price while laboring under regulatory constraints most industries don't have to face. Our attorneys navigate through hazardous waters on behalf of our clients and help them achieve their business objectives. Our lawyers specialize in providing legal services to long-term care and senior housing providers. We work with the full spectrum of this industry, including skilled nursing facilities, assisted living and memory care facilities, independent living facilities, home health agencies, hospice, therapy providers, and LTACHs. We routinely represent landlords (including REITs), tenants, providers, and management companies. We have a robust regulatory and transactional practice. Our lawyers work with clients in the acquisition and divestiture of both the real estate and operations of long-term care facilities and related businesses in Oregon, Washington, California, Idaho, Montana, Nevada, and Wyoming. We act as borrower's counsel with respect to real estate, account receivable, Fannie Mae, and HUD financing transactions, and often work as local real estate and licensure counsel. We also work to purchase facilities out of bankruptcies and receiverships. We complete and submit licensure applications and also counsel providers regarding licensing issues, including revocation, denial, and imposition of conditions on licenses. We prepare effective resident admission agreements, resident handbooks, and policies and procedures. We also handle complex resident discharge and transfers. Our lawyers are also skilled at helping providers assess risk, develop risk management strategies, and comply with resident rights and duties under state and federal law. We advise and train on compliance with evolving laws and regulations, including HIPAA, the Anti-Kickback Statute, and local and federal regulations. We also offer effective collection of accounts receivables and know how to navigate collection issues specific to long-term care. We represented the seller/lessee in a sale leaseback transaction of 10 skilled nursing facilities in Washington, Oregon, California, and Nevada. We represented the sublessor in the sublease and transfer of operations of five skilled nursing facilities and one assisted living facility in Arizona. We represented the buyer in the acquisition of a management company that had management agreements with four skilled nursing facilities in California. We represented the seller/lessor in a transfer of operations and the lease of a campus with a skilled nursing facility and residential care facilities. We successfully collected over $2 million for health care facilities from individuals, state agencies, probate and protective estates, and health insurance companies. We defended a long-term care facility against discrimination claims brought in federal court by a terminated nurse assistant. The court granted the facility's motion to dismiss all of the former employee's claims, with prejudice. 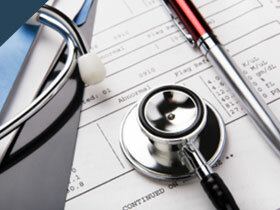 We represented doctors in the acquisition of a hospital and related securities issues. We represented a community group in a Chapter 11 bankruptcy of an acute care hospital and were instrumental in causing a replacement hospital to be constructed.